CHICAGO – Jan. 22, 2019 — Keno Kozie Associates, Ltd., a leading provider of information technology design, service and support to law firms and legal departments, today announces the company has added Greg Langosch as director of managed and engineering services. Langosch comes to Keno Kozie with extensive experience in the IT community. In his role at Keno Kozie he is focused on leading the integration of the managed services and engineering divisions in order to bring additional continuity of services to clients. 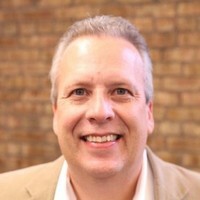 Prior to joining Keno Kozie, Langosch most recently worked as executive director of an international managed service provider, where he was responsible for leading the global managed services operations center, owning service delivery, revenue growth and client relationships. For more information on Keno Kozie, visit www.kenokozie.com. Keno Kozie Associates, Ltd. has been providing information technology design, service and support to leading law firms and legal departments since 1988. Hundreds of firms have chosen Keno Kozie to provide IT consulting, systems integration, advanced application integration, 24/7 help desk support, training, managed services and security and risk management services. The company was recognized in the Best of Legal Times Readers Rankings survey as a Best IT Outsourcing Provider for 2013 to 2016 and in the National Law Journal’s Best of Chicago Readers Ranking survey in the same category from 2012 to 2015. The company maintains partnerships with many leading software and hardware vendors to provide clients with optimal value and support. For more information visit www.kenokozie.com.